At Ambience we love a spoof on a classic and this season’s favorite is Lauren Moshi’s whimsical play on Looney Tunes. The super-soft relaxed fit tee has a Lauren Moshi silkscreen graphic of Ghetto Tunes replaces the iconic Bugs Bunny with a Skull Bunny, chain necklaces and a LM pendant. 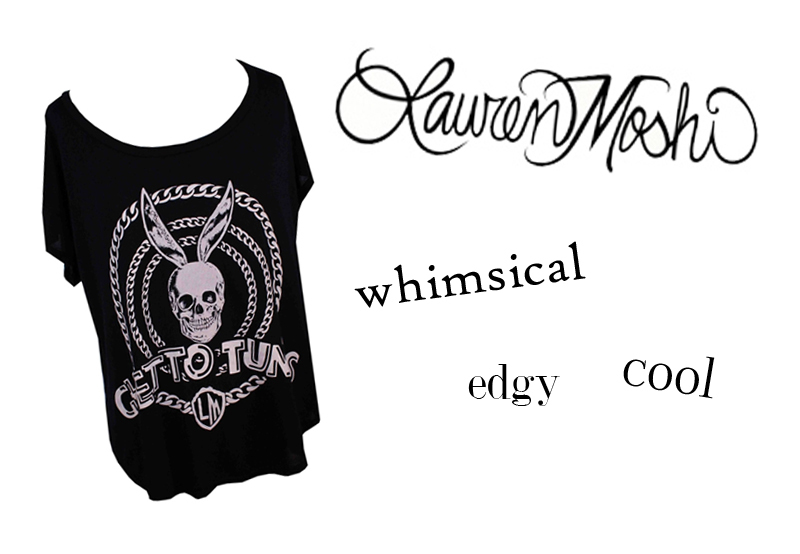 This Lauren Moshi tee is perfect with your cutoff shorts or as a cover-up for your swimsuit at the beach. Transition to the fall pairing with your skinny jeans and your leather jacket; smile knowing that you look amazing, the top is great fashion and fun to wear.